You wish to join the Circuit but your company is not based in Sardinia? Don’t worry, also companies based in the peninsula can finally enjoy all the advantages that Sardex.net offers the Island’s businesses. In fact, starting from the great success of Sardex.net, groups of local entrepreneurs have founded, in partnership with and on the model of Sardex, a series of twin Circuits, now active in a large part of the Italian regions, united under the common trade name of Commercial Credit Circuits™. Each Commercial Credit Circuit™ shares rules, processes, mission, vision and common values, whose alignment is also ensured by the common adoption of an ethical code recognised by each Circuit as the guiding principle of any other internal rule or regulation. A Network of local Networks, with their feet firmly on their region’s ground, but with their eyes open to the world! 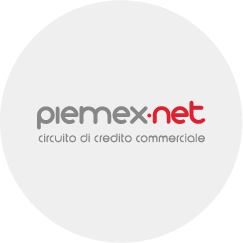 Piemex.net, the first Commercial Credit Circuit in Piedmont, was born from the cooperation between Sardex and a group of professionals from Turin, active in the Marketing and Communication industries. Cooperate with hundreds of firms and professionals all over the Piedmont region, create new human and business relationships and become a source of change for yourself, your company and your economy. Find out more visiting Piemex.net website. 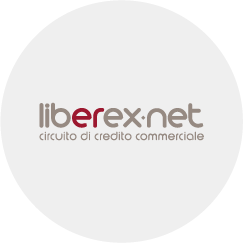 From the union of Sardex with a group of entrepreneurs in Brianza coming from the publishing, communication and IT sectors, in January 2015 the Lynx Circuit, the first Credit Commercial Circuit in Lombardy, has taken its first steps. Collaborate with the other lombard firms and businesses and become the protagonist of a new economic paradigm. Visit www.circuitolinx.net and find out more about this extraordinary initiative. 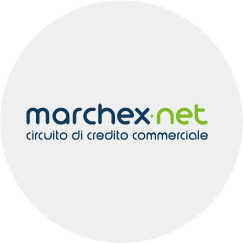 Marchex.net, the first Commercial Credit Circuit in the Marche region, has come into being from the encounter between Sardex and Cooperativa GUS – Gruppo Umana Solidarietà (Human Solidarity Group Cooperative). Marchex.net is an economic circuit made by businesses for businesses, capable of offering real support to the region without ever losing sight of basic values such as trust, reciprocity and collaboration. Discover a new way of doing business, visit www.circuitomarchex.net. 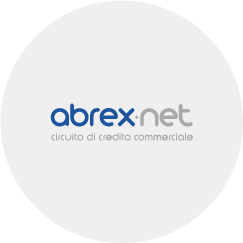 Samex.net, the first Commercial Credit Circuit in the Molise and Sannio regions (Benevento e Avellino), was born in 2014 from the encounter between Sardex.net and Innovation Factory, a young and dynamic startup based in Isernia. Cooperate with other firms and professionals all over the Molise and Sannio regions, create new human and business relationships and become a source of change for yourself, your company and your economy. Find out more visiting www.samex.net. The Liberex.net Circuit was started in 2014 in the Emilia Romagna region. The Liberex Circuit, promoted by Sardex and Emineo (a company that is partner of Sardex in the whole replication process of the model), in collaboration with numerous professional entrepreneurs from all over the region, is getting ready to spread across the whole region a new cooperative model based on trust and on sharing. Join now! Visit www.circuitoliberex.net. Felix.net, the first Commercial Credit Circuit in the Caserta, Salerno and Naples provinces, was born from the collaboration between Sardex and a group of well-established local entrepreneurs. Thanks to the agreement signed with the Samex.net Circuit, based in the Molise and Sannio regions, the members of the two Circuits will be able to operate across the whole Campania and Molise regions. Cooperate with hundreds of firms and professionals, create new human and business relationships and become a source of change for yourself, your company and your economy. Find out more by visiting www.felix.net. 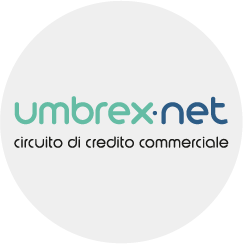 Umbrex.net, the first Commercial Credit Circuit in the Umbria region was born from the collaboration between Sardex and the Link 3C Cooperative. Cooperate with hundreds of firms and professionals all over Umbria, create new human and business relationships and become a source of change for yourself, your company and your economy. Find out more visiting www.umbrex.net. 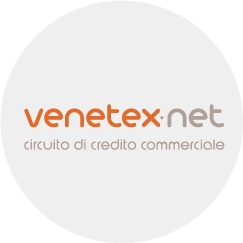 Venetex.net, the Commercial Credit Circuit™ of the Veneto region, has started from the encounter between Sardex and VeNetWork, a network of 52 entrepreneurs from Veneto engaged in promoting entrepreneurial culture, financing, and the development of high-potential activities. Cooperate with hundreds of firms and professionals all over the Veneto region, create new human and business relationships and become a source of change for yourself, your company and your economy. Find out more visiting www.circuitovenetex.net.